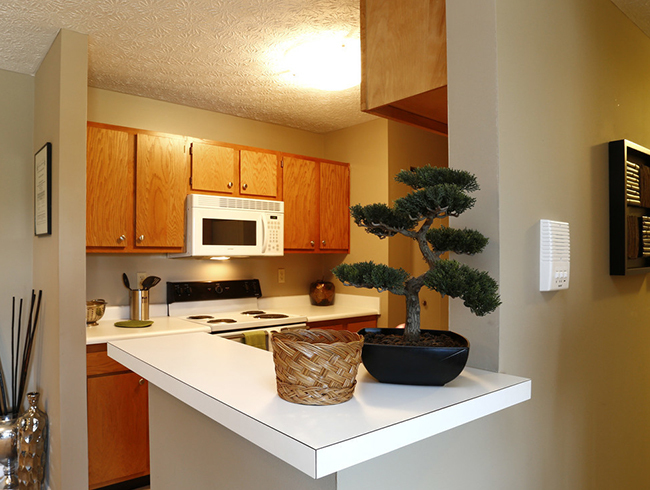 Experience a peaceful living environment at Deer Ridge Apartments in Loveland, Ohio. Located in the city’s finest suburb, residents will enjoy seamless access to numerous dining, shopping, and entertainment options, in addition to many coffee shops, grocery stores, city parks, and dog parks nearby. Our spacious one and two-bedroom apartment homes offer a well-equipped kitchen with eat-in bar, plush carpeting throughout, and a private patio or balcony. As a resident of Deer Ridge Apartments, you can take advantage of our on-site laundry facility, off-street parking, and dedicated management and maintenance teams. Best of all, we're a pet-friendly community that encourages you to bring along your beloved furry family members. Stop by today for a personal tour with our friendly leasing team, or click the "Contact" tab to inquire further. Located in Loveland, Deer Ridge Apartments exudes a family-friendly environment that all of our residents have come to love. With options for shopping, dining, and entertainment, in addition to close proximity to excellent schools and centers of employment, Deer Ridge Apartment offers residents everything they need within a single neighborhood. Not only are we close to the highly acclaimed Loveland Elementary and Loveland Middle Schools, but professionals will experience the convenience of nearby places of employment, from finance and marketing to consulting and government. After work, it's time to sink your teeth into the area at-large. Residents of Deer Ridge can find delectable bites at El Picante, Zab Thai Kitchen, or Larosa’s Pizza. Discover home essentials, clothing, and more with a trip to Loveland Shopping Center or Loveland Plaza. If you're seeking entertainment beyond Loveland's, Cincinnati is a mere 30 minutes from our community, where you'll find landmarks, events, and activities galore.